The state-run Tanzania Communications Regulatory Authority (TCRA) just issued an order that lots of politicians in Europe, USA and generally the whole western “first world” would LOVE to be able to issue. or Wordpress.com. Or Blogger. Or… OK, you get my drift. There are several important reasons why I almost never do that, have no intention to do otherwise, and invite everybody else to do the same. 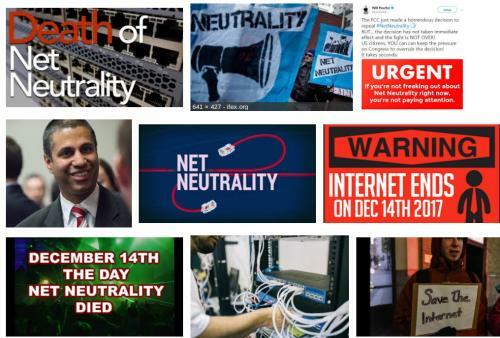 The FCC Net Neutrality decision on Dec. 14th, 2017 (*) has rightly caused a lot of outrage, and concrete reactions, both political (e.g. petitions) and technical (if you have no idea yet of why you too should be worried, please read this first). Several contacts of mine have asked me what I think of those technical reactions. Here’s what. Fargo is (I’m really simplifying here!) Open Source software by Dave Winer that lets you build a blog out of files stored on your Dropbox online storage account. Ron Chester explains very well here why he is using the Fargo Web publishing system.